This product contains 35 calories and 4g of fat per serving. 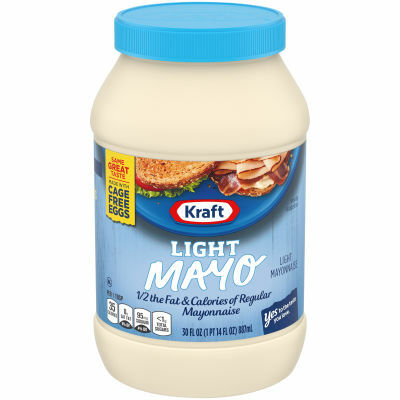 Mayonnaise contains 90 calories and 10g of fat per serving. *Recipe: Berry-Sweet Chicken Salad Sandwich.